I’m welcoming Freda Lightfoot to my place today as part of her Blog Tour for Girls of the Great War. Thank you so much for inviting me on your blog. Entertainment was a place where soldiers could escape the harsh realities of their dangerous life. They were always overjoyed to see these performances. Concerts took place to liven up the troops. Two or three concerts a day were often available and most popular. Drama presented a particular challenge: contemporary comedies and romances were played with canteen furniture, and the scenery was often a backdrop of night sky. Violin solos, string quartets, operatic arias, all were performed behind the front lines. It was not unusual for the audience to be in their hospital beds, or wheeled out of the wards, even if rain beat down upon them. Shows were also given on ships, and out in the wild country or desert. Back in England the war naturally brought a surge in patriotism, both in drama and cinema. Music hall was one of the dominant forms in World War One. Theatre managers, newspaper editors, civic leaders and even clergymen insisted that people wanted cheering up and were not expected or even allowed to use their brains or be presented with serious matter. The war was expected to end by Christmas. Many plays were written about the suffering, but the emphasis was more on the humorous to attract the masses. Soldiers on leave flocked to the theatres with their sweethearts, eager to be amused and entertained. There were many famous performers such as Harry Lauder, Vesta Tilley dressed as a soldier, Gertie Gitana and others, all popular with troops out in the war and for soldiers and their families back home. After the war, popular tastes began to change. Entertainment then preferred Charleston, jazz and syncopation. Performers would often entertain cinema audiences between films. Queues too would be entertained by dancing dogs or a man playing a banjo or accordion. Then a collection would be taken up for the soldiers and sailors. Benefit performances were held to raise money to entertain wounded soldiers; just as there were Tank Weeks, or fund raising for an ambulance. In Girls of the Great War, Cecily, having lost the love of her life, eagerly goes to entertain the soldiers in France, filled with the need to help and overcome depression, Her sister, mother and Johnny, a drummer friend, accompanied her, a part of which proved to be a problem. I was inspired to write this because I’d been involved in amateur dramatics for much of my life. I still love the theatre, and have collected many books on the history of it and famous actors. Writing about it was a joy, and I have touched on this theme in one or two others of my books. There was no proper stage, no curtains, dressing rooms or footlights, but they did have acetylene gas lamps glimmering brightly around the boxes. They worked for hours rehearsing and enduring more instructions from Queenie on what and how they should perform. Cecily suffered a flutter of panic as she became aware of hundreds more men gathering in the audience. A few were seated on boxes or benches, the rest of the area packed with a solid mass standing shoulder to shoulder. Many had been patiently waiting hours for the concert to start. Looking at the state of them it was evident that many had come direct from the trenches where they’d probably been trapped in horrific conditions for months. Those unable to move from their tent pulled the flaps open so that they too could hear the concert. Heart pounding and nerves jangling, Cecily felt the urge to turn and run as the moment for the concert to start came closer. Was her mother right and she couldn’t sing well at all? Would they roar and boo at her as they had that time at Queenie? There’s a Long, Long Trail A-winding. As she sang, her fears, depression and worries vanished in a surge of elation, soaring into a new life, and bringing these soldiers pleasure and relief from the war. When the song was over she received a tumultuous applause, cheers, whistles and roars of appreciation from them. Smiling broadly she went on to sing ‘Roses of Picardy’, followed by ‘Pack Up Your Troubles in Your Old Kit Bag’ and many other popular favourites. Most of the Tommies would readily join in to sing the chorus whenever Cecily invited them to do so. Others would weep, as if fraught with emotion because they were homesick and felt greatly moved by this reminder of England. Then would again cheer and roar with happiness at the end, urging her to sing an encore. Cecily went on to sing ‘Burlington Bertie From Bow’and ‘Fall In And Follow Me’. These brought bright smiles and laughter to all the Tommies’ faces. She finished with ‘Your King and Country Want You’, bringing forth loud cheers of agreement. How she loved singing to these soldiers. If she hadn’t been a star before, she certainly felt like one now. Cecily Hanson longs to live life on her own terms—to leave the shadow of her overbearing mother and marry her childhood sweetheart once he returns from the Great War. But when her fiancé is lost at sea, this future is shattered. Looking for meaning again, she decides to perform for the troops in France. I was born in a small mill town in Lancashire. My mother comes from generations of weavers, and my father was a shoe-repairer. I still remember the first pair of clogs he made for me. After several years of teaching, I opened a bookshop in Kendal, Cumbria. And while living in the rural Lakeland Fells, rearing sheep and hens, I turned to writing. 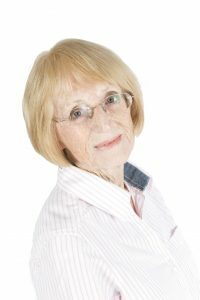 I wrote over fifty articles and short stories for magazines such as My Weekly and Woman’s Realm, before finding my vocation as a novelist and became a Sunday Times Bestselling author. 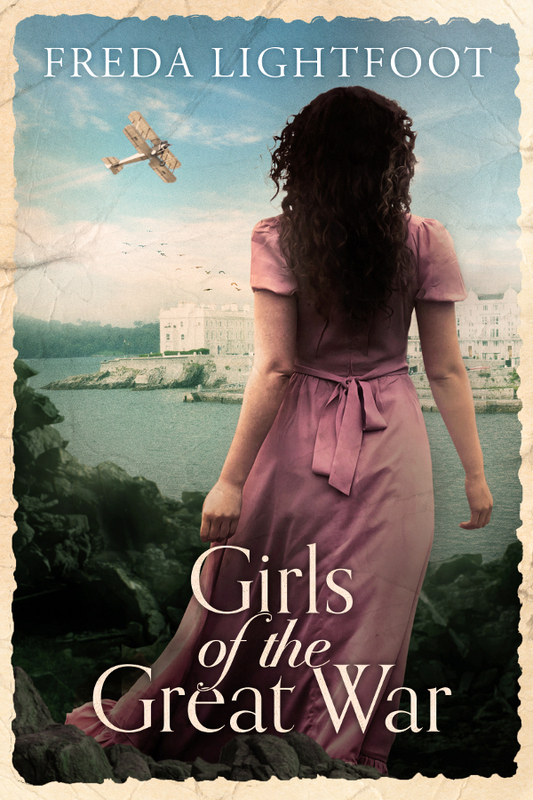 I’ve now written over forty-eight novels, mostly sagas and historical fiction, my three latest books, including Girls of the Great War, out in May are published by Amazon Lake Union. I spend warm winters living in Spain, and the rainy summers in Britain. Many thanks for stopping by on your tour Freda!